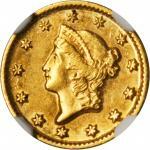 1849-D Gold Dollar. AU-55 (NGC). 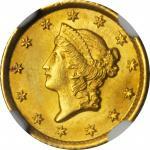 1852 Gold Dollar. MS-66+ (PCGS). 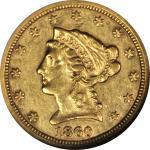 1852 Gold Dollar. MS-65+ (NGC). 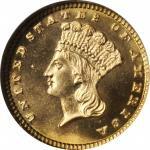 1853 Gold Dollar. MS-65 (PCGS). 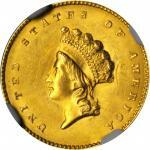 1853-O Gold Dollar. Winter-1. MS-65 (NGC). 1854-S Gold Dollar. AU-58 (PCGS). CAC. 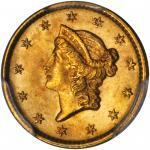 1855 Gold Dollar. Type II. MS-64 (NGC). 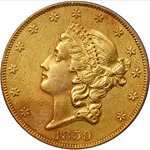 1882 Gold Dollar. MS-68 (NGC). 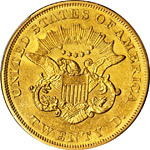 1834 Classic Head Quarter Eagle. McCloskey-1. Small Head, Large Arrowheads. AU-58 (NGC). 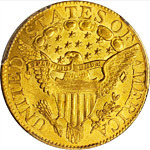 1836 Classic Head Quarter Eagle. McCloskey-2. Head of 1835, Script 8. AU-58 (PCGS). 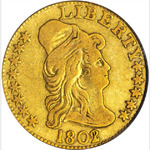 1845-O Liberty Head Quarter Eagle. Winter-1, the only known dies. EF Details--Cleaned (PCGS). 1855 Liberty Head Quarter Eagle. MS-63 (PCGS). CAC. 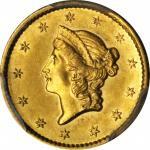 1858-C Liberty Head Quarter Eagle. AU-58 (NGC). CAC. 1860-S Liberty Head Quarter Eagle. AU-53 (NGC). 1873-S Liberty Head Quarter Eagle. MS-63 (NGC). CAC. 1882 Liberty Head Quarter Eagle. MS-64+ (PCGS). CAC. 1892 Liberty Head Quarter Eagle. MS-65 (PCGS). 1900 Liberty Head Quarter Eagle. Proof-64 Cameo (PCGS). CAC. 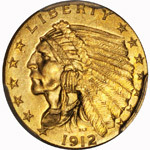 1903 Liberty Head Quarter Eagle. MS-65 (NGC). CAC. OH. 1904 Liberty Head Quarter Eagle. MS-67+ (PCGS).